Dominos is offering a hot deal this week! 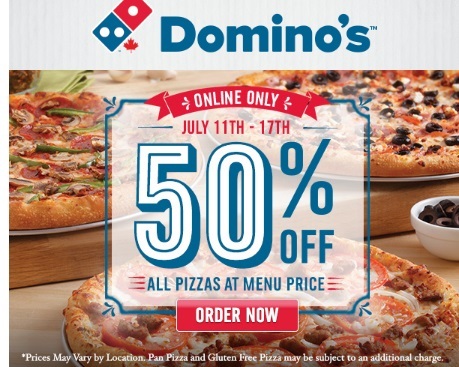 Get 50% off all pizzas at menu prices with the promo code below! Click here to browse Dominos.